Is Judo for you? Are you interested in being in top physical condition and challenging yourself in intense competition. Do you like hard throws and trips, leg sweeps. If that fails, how about submission grappling for chokes and arm bars? Martial applications may come later. As in any intense sport, there are risks to the joints. Kano Sensei modernized the ancient martial art of Jujitsu in the 1900's. A typical class in Westchester may include warm ups followed by practicing a few specific applications against certain standard grabs used in competition. Competitive practice often follows where one wins either by throwing someone forcefully to the ground or going down to the ground with them and causing them to submit by choking or locking an arm. 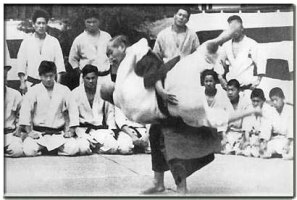 While katas do exist in Judo, the practice is not as extensive, and weapons forms are not involved. Actual self defense techniques are only applied against grappling attacks, but transitioning Judo techniques to be effective against strikes is straight forward. 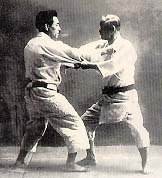 Judo emphasizes the use of destructive technique first followed by learning to control an attacker. Exercise is aerobic. In Westchester County, while searching the communities of White Plains, New Rochelle and Yonkers, pure Judo may be difficult to find. Good instruction is available in New York City.